﻿ Hanwha Resort Seorak Sorano, Sokcho-si | FROM $90 - SAVE ON AGODA! 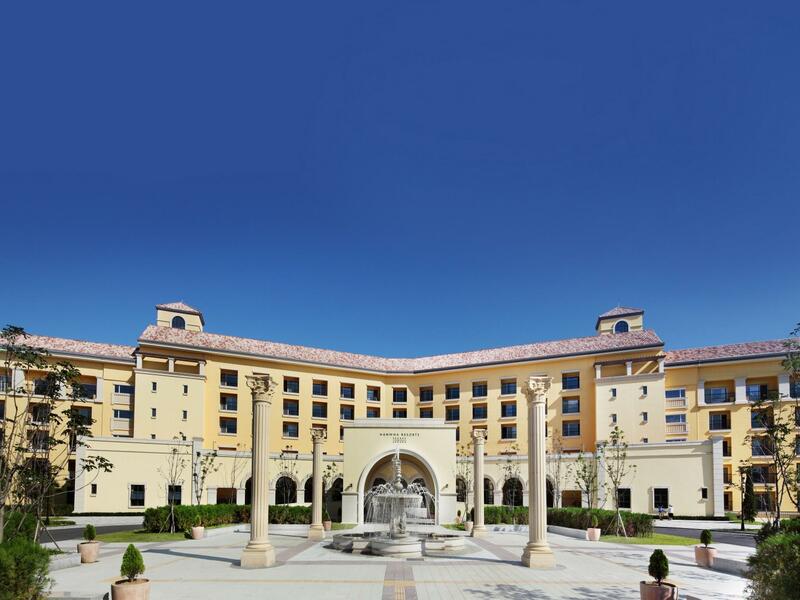 Have a question for Hanwha Resort Seorak Sorano? "We would stay here again." "Spacious and short walking distance to waterpia." "Good point and have good food"
When visiting Sokcho-si, you'll feel right at home at Hanwha Resort Seorak Sorano, which offers quality accommodation and great service. From here, guests can enjoy easy access to all that the lively city has to offer. 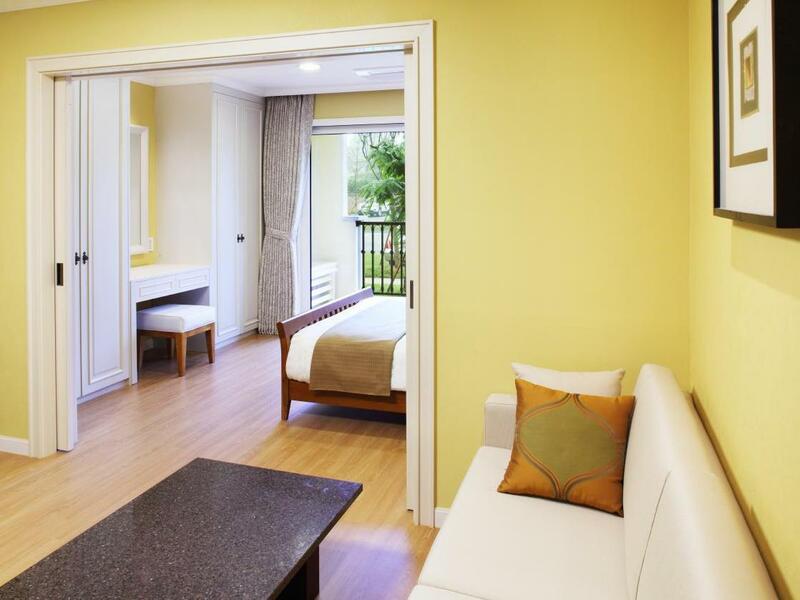 This modern hotel is in the vicinity of popular city attractions such as Seorak Waterpia, Seorak Cinerma, Seongcheon Health Cneter. Hanwha Resort Seorak Sorano also offers many facilities to enrich your stay in Sokcho-si. For the comfort and convenience of guests, the hotel offers free Wi-Fi in all rooms, convenience store, Wi-Fi in public areas, car park, restaurant. Hanwha Resort Seorak Sorano is home to 730 bedrooms. All are tastefully furnished and many even provide such comforts as television LCD/plasma screen, internet access – wireless (complimentary), air conditioning, heating, desk. Whether you're a fitness enthusiast or are just looking for a way to unwind after a hard day, you will be entertained by top-class recreational facilities such as theme park, water park, sauna, golf course (on site), spa. Whatever your purpose of visit, Hanwha Resort Seorak Sorano is an excellent choice for your stay in Sokcho-si. "Very cozy and nice view of mt seorak-san." The hotel is clean. Our room had a stove, refrigerator, and rice cooker, so we could have prepared meals if we wanted to. There is a large convenience store located on the bottom floor. They also have a coin laundry on that level. We ate at the breakfast buffet restaurant. They had a wide variety of choices- both Korean and Western. We walked to Waterpia next to the hotel. Guests get a discount. We would stay here again. I stayed in this hotel 18 years ago and I couldn't believe that it looks newer and nicer than before. Everything about this hotel is good, including the large grocery shop in the basement which operates round the clock. Very cozy and nice view of mt seorak-san. Could go hiking about 2hrs to the South Korea #2 mountain without a car from this place. Great place especially if you have a car. Location is good and close to the enarby attraction Seorak Mountain. The resort itself has Waterpia which should be quite fun for the family. 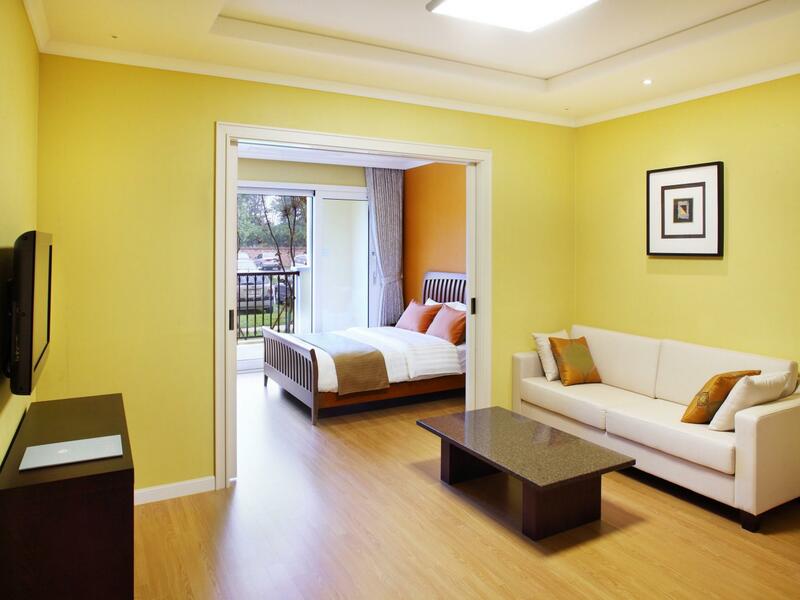 The room itself is family room, cozy enough for 3-4 persons family. The restaurant choices are not enough for breakfast, it only has 2 buffet restaurants in the morning while no space in the lobby cafe. Not enough parking lots obviously and they should expand the hotel. The booking of this hotel is also difficult and expects to have more room to choose. The hotel is clean, the room is nice and staff is friendly. The only minor comment is the small room with no window is too hot and no cool air coming into the room. I dont like the heater, it makes me sweat during the night. I have been 5 years ago..(I had visit many time before 5 years ago by company membership.) This is first time after re-interior. But, I should be very dis appointment. They just add one bed in the living room then they said this two room type. There is no window in small room. Several point of wall paper was damaged before check-in(They don't try fix it before check-in) Honestly, Waterpia was pretty good. But internet reservation ticket for anyone(No require check-in or others) is more chipper then ticket for check-in customer. I don't find any reason stay in this residence. A little bit expensive and noisy. But, there is a lot of facilities; convenience store at the ground floor, playground for little kids, a games room etc. The buffet is fine.